I am honored to facilitate this journey for individuals wishing to expand their self awareness and capacity for compassion, wisdom and healthy relationships. Individual therapy, voice dialogue facilitation, coaching and energy medicine are personal development resources that can create inner balance and alignment to our higher purpose. 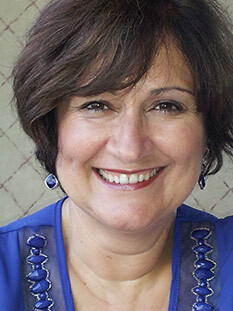 Lorena is a therapist, coach, spiritual director, educator and facilitator at Alchemy Holistics since 2006. Her areas of expertise are Voice Dialogue Therapy, NLP Therapy, Spiritual Psychotherapy and Energy Medicine. Her approach is holistic and psycho-spiritual integrating mind, body and spirit. Lorena is a member of the Canadian Association for Integrative and Energy Therapies, Canadian Humanistic and Transpersonal Association, Canadian Examining Board of Health Care Practitioners, National Guild of Hypnotists, Canadian Association of NLP Practitioners, Certified Professional Coach and Registered in Human Relations. Instructor at the Transformational Arts College since 2009 for Dialoguing with Sub-Personalities, Voice Dialogue Therapy Facilitation includes creating a psychic map of primary sub-personalities and disowned selves. Learning facilitation of dialoguing with sub-personalities to expand self-awareness. Embracing the Inner Critic, Perfectionist, Rule Maker and many other key sub-personalities. Understanding how sub-personalities form within the psyche and how we can embrace those that hold us back from living authentically . Inner Selves Consciousness is based on the work of Drs. Hal and Sidra Stone. Workshop Facilitator and Developer with over 20 years experience. Topics include Voice Dialogue, Family Constellations, Relationship Dynamics, Meditation, Trauma, Shamanic Energetics, Energy Medicine and NLP through Alchemy Holistics. Previous and parallel to her therapy practice and studies; Lorena was a non-profit organizational executive leader for more than 30 years.